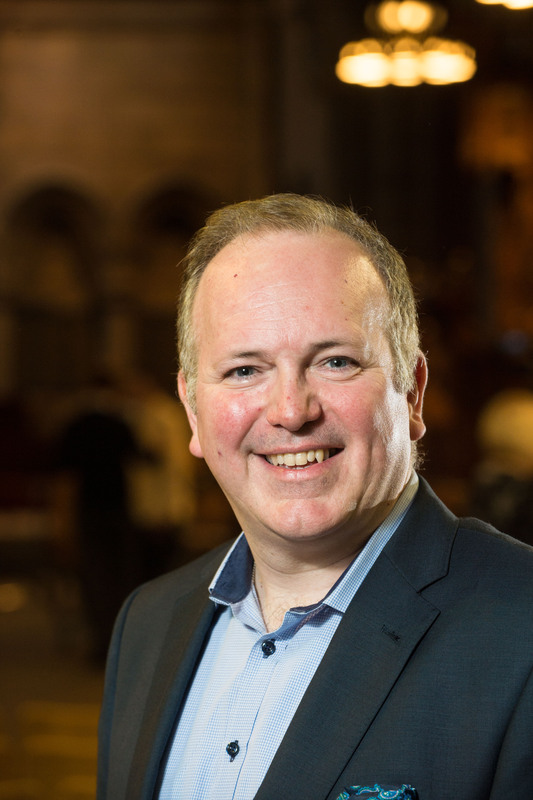 Born in Glasgow, Jamie MacDougall has been the ‘nation’s voice’ for classical music on BBC Radio Scotland since 2001, presenting Grace Notes and Classics Unwrapped. His voice can be heard regularly presenting for BBC Radio 3 and for 15 years he’s anchored the BBC Proms in the Park as part of the Last Night of the Proms Festivities. Away from broadcasting Jamie continues to enjoy a busy singing career that takes him around the world from Australia to Mexico. Future appearances include Handel’s Messiah at Royal Albert Hall with the Royal Choral Society and a tour of Scotland with the Bardic Trio. On the concert platform he has worked with some of the world’s top baroque, chamber and symphony orchestras, including the Royal Scottish National Orchestra, The Orchestra of the Age of Enlightenment, the Scottish Chamber Orchestra, the St Louis and Houston Symphony Orchestras and most recently the Adelaide Symphony Orchestra in Australia. As a recitalist, Jamie has performed with pianists Malcolm Martineau, Graham Johnson, Roger Vignoles and Julius Drake, appearing at the Edinburgh International Festival, the Perth Festival in Australia, the Salzburg and Aldeburgh Festivals. He has also appeared in the Wigmore Hall. In 2014 he took his one man show ‘Inspirations’ to the Wintergarten in Berlin and subsequently to Mexico and America. Jamie’s extensive discography of over 45 titles, covers baroque and classical, German, Scottish and English song as well as 20th century music. With the Haydn Trio Eisenstadt he released a 20 disc collection of Haydn Folk Song arrangements. This 5-year project to record all 429 songs was completed to celebrate the 200th anniversary of Haydn. It culminated with concerts in Milan, New York, Washington DC, Vienna, London, Edinburgh and Glasgow as well as at numerous European festivals.